At the height of the Cold War, the Soviet Union had so many hundreds of deadly submarines at sea that Western war planners willing to try almost any possible countermeasure, however goofy sounding. Some seemingly crazy ideas proved actually worthwhile, such as the underwater Sound Surveillance System—a vast chain of seafloor microphones that patiently listened for Soviet subs … and remains in use today. Other less elegant anti-submarine tools survive only as anecdotes. In his book Hunter Killers, naval writer Iain Ballantyne recalls one of the zanier ideas — air-dropped “floppy-magnets” meant to foul up Soviet undersea boats, making them noisier and easier to detect. From the late 1940s on, captured German technology boosted Soviet postwar submarine design. Soviet shipyards delivered subs good enough — and numerous enough — to pose a huge danger to Western shipping. By the time of the 1962 Cuban Missile Crisis, the USSR controlled the largest submarine force in the world — some 300 diesel-electric submarines and a handful of nuclear-propelled models. NATO navies couldn’t keep up. “We simply do not have enough forces,” Vice Adm. R.M. Smeeton stated. 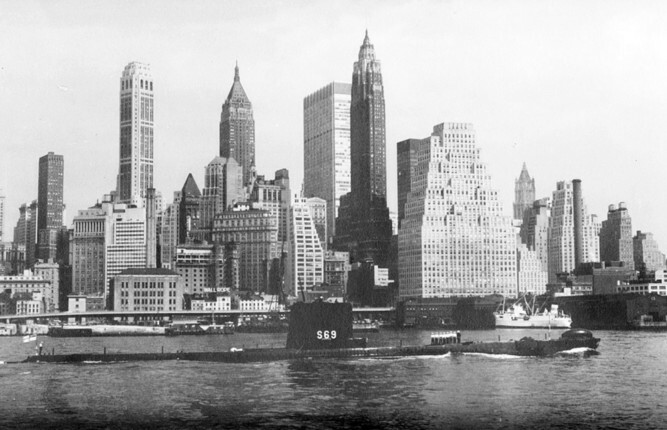 NATO war planners feared only nuclear escalation could check the Soviet submarine wolf packs. That is, atomic strikes on sub bases along the Russian coast. A Canadian scientist figured some kind of sticky undersea noisemaker would make a Soviet sub more detectable. He designed a simple hinged cluster of magnets that could attach to a submarine’s metal hull. Movement would cause the flopping magnets to bang against the hull like a loose screen door, giving away the sub’s location to anyone listening. The simple devices would take time and effort to remove, thus also impairing the Soviet undersea fleet’s readiness. In late 1962, the British Admiralty dispatched the A-class diesel submarine HMS Auriga to Nova Scotia for joint anti-submarine training with the Canadian navy. The British were helping Canada establish a submarine force, so Royal Navy subs routinely exercised with Canadian vessels. Auriga had just returned to the submarine base at Faslane, Scotland after a combat patrol as part of the Cuban Missile Crisis. Other subs of the joint Canadian-British Submarine Squadron Six at Halifax had seen action during the crisis. The 1945-vintage Auriga spent much of her time in Nova Scotia simulating Soviet diesel subs during hazardous under-ice ASW practice with U.S. and Canadian forces. During a typical three-week exercise, Auriga would be subject to the attentions of surface vessels, aircraft and other subs, including the U.S. Navy’s new nuke boats. During one open-ocean exercise, Auriga was given the floppy-magnet treatment. A Canadian patrol plane flew over Auriga’s submerged position and dropped a full load of the widgets into the sea. As weird as it sounded, the magnet concept proved a resounding success. Enough magnets fell on or near Auriga’s hull to stick and flop. Banging and clanking with a godawful racket, the magnets gave sonar operators tracking the sub a field day. Then the trouble started. The floppy-magnets couldn’t be removed at sea. In fact, they couldn’t be removed at all until the submarine dry-docked back in Halifax weeks later. In the meantime, one of Her Majesty’s submarines was about as stealthy as a mariachi band. No fighting, no training, no nothing until all those floppy little magnets were dug out of her skin at a cost of time, money and frustration. The magnets worked on the Soviets with the same maddening results. The crews of several Foxtrots were driven bonkers by the noise and returned to port rather than complete their cruises. Now, the Soviet navy could afford to furlough a sub or two, but NATO could not. 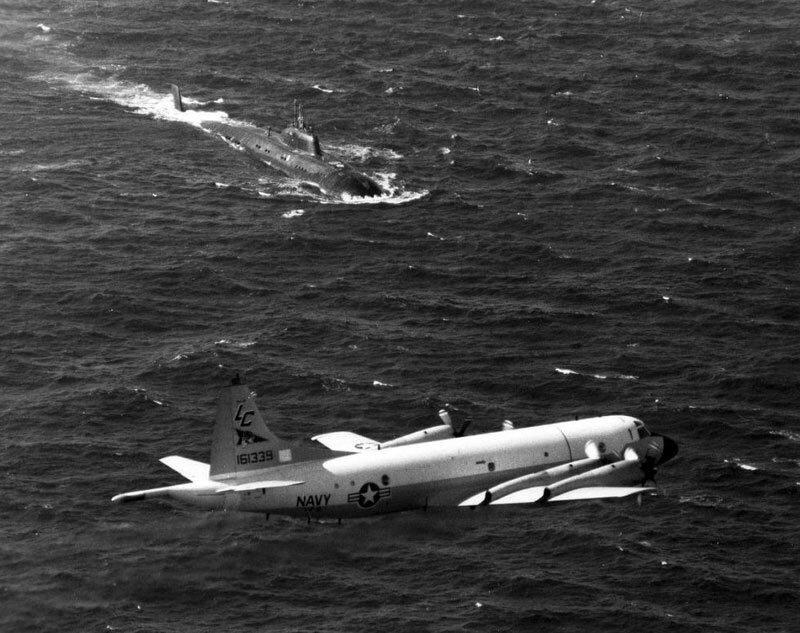 Anti-submarine crews couldn’t practice with floppy-magnets attached to their exercise targets. The floppy-magnets worked exactly as intended, but they were simply too messy to train with to be practical on a large scale. It seems NATO deployed them only a few times. The submarine-fouling floppy-magnet turned out to be, well, a flop. This article originally appeared on Feb. 18, 2014.